The Women in STEM initiative by Ingenium is driven to engage, advance and retain the interest of young women in the STEM fields. Women have always made important contributions to STEM fields throughout history, yet gender inequity persists, especially at the highest levels of academia and industry. 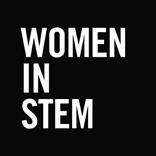 Our mission is to contribute to international efforts to achieve gender equity in STEM by celebrating achievements and advocates, and shedding light on persistent, often implicit, gender biases. There are multiple structural and cultural barriers that contribute to this, the causes complex. We recognize this and have developed multiple long-term and sustainable strategies to engage young women in STEM. This will be done through a multi-pronged approach designed to address the underrepresentation of women in STEM and to contribute to efforts to achieve gender equity in these four fields. The initiatives include a Fellowship opportunity in Gender, Science and Technology with the University of Ottawa, a travelling display that will relay more in-depth stories such as the ones featured in our posters, and specialised programming and events. All of this is being developed with the support of an Advisory Council composed of individuals from across Canada and abroad who offer advice and insight on the proposed plans and components of the initiative and provides suggestions on possible partners and linkages with outside organizations and individuals. This is a collaborative effort between the three Ingenium museums: Canada Agriculture and Food, Canada Aviation and Space, and Canada Science and Technology and our partners to support the engagement, advancement and furtherance of women in STEM.